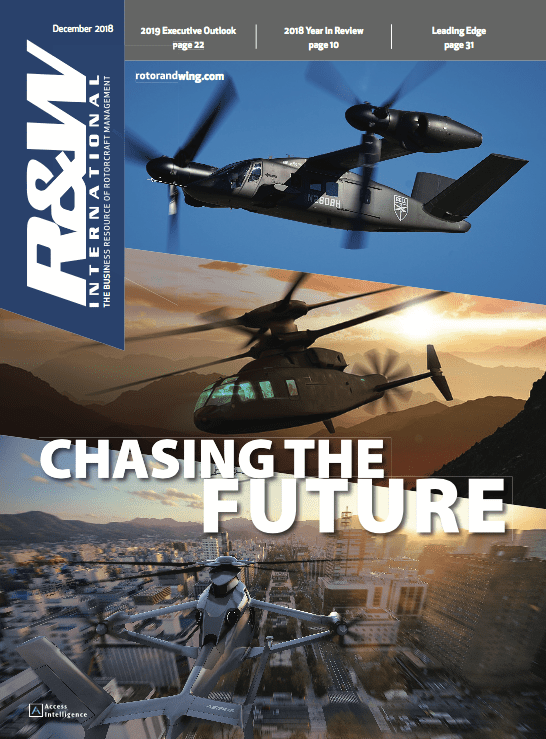 Aaron Todd, CEO of helicopter emergency medical services (HEMS) provider Air Methods, spoke with Rotor & Wing in September for a wide-ranging interview covering a number of topics, including the company’s recent acquisition of Omniflight Helicopters and the challenges facing the HEMS industry. 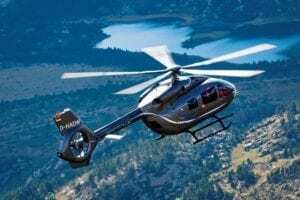 With the acquisition, the Air Methods fleet now consists of 398 helicopters—Eurocopter, Bell and AgustaWestland variants—and 22 fixed-wing aircraft. Rotor & Wing: How is the integration on Omniflight’s fleet coming along? What’s involved in the process? Aaron Todd, Air Methods CEO: We have an accelerated timeframe to complete the full integration of the companies within approximately six months from date of closing [August 1]. Usually it’s taken us in past acquisitions between nine months and a year to get all that completed. The reason we’re in better position to do that [with Omniflight] is we’ve got greater depth of capability and resources to accomplish that on a more expedited basis. The acquisition does not involve the shutting down of operational bases or major changes to our organizational structure. The integration’s going well, and there’s been no surprises to speak of, and we don’t see any difficulties in getting the majority of the integration effort behind us toward the beginning of the new year. Once you consolidate the operating certificates, essentially you have consolidated the fleets. Rotor & Wing: What about the Omniflight name? Todd: The Omniflight name as a DBA [doing business as] has some relevance, but we’re going to combine the operating certificates under the Air Methods certificate, and we’ll continue to utilize the various operating names that are used in local markets and try to be as non-disruptive to the service and the name recognition in local markets as we possibly can be. 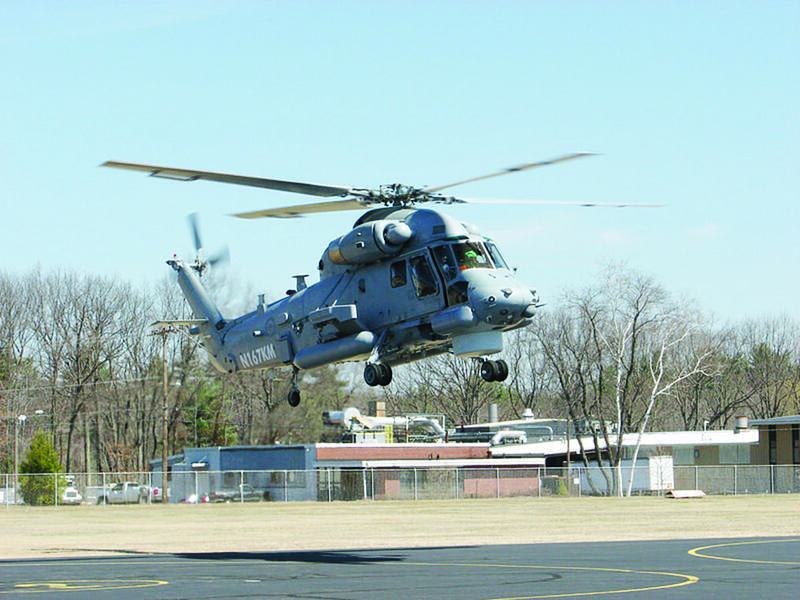 Rotor & Wing: Any plans to retire helicopters from either of the fleets? Todd: We’ve already been doing that. We’ve been transitioning out of the BK117s prior to the Omniflight acquisition. This agreement added about 20 additional BK117s to the fleet. What I like to say is that any aircraft that was manufactured prior to 1990 is certainly on the short list to be replaced. 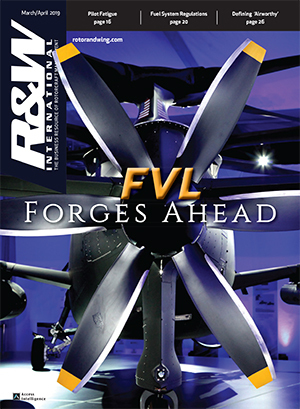 Rotor & Wing: What about new fleet purchases? Todd: Obviously we’ll have to re-calibrate our new aircraft purchasing to be accommodating to the combined fleets and the growth objectives of both companies that are now on a combined basis. We have 25 new helicopters that have been and will continue to arrive this year. We’ll be placing an order for 2012 deliveries in the near term. Rotor & Wing: Will there be any new hires or layoffs? Todd: There will be consolidation of redundant positions within the corporate administration. I think you had listed here whether Tom Leverton was going to continue with the organization [as CEO of Omniflight]. He actually departed on the date of closing so there wouldn’t be confusion of the dual roles. There’s not any expectation to retain the most senior leadership, but certainly at the middle and upper middle management positions, we’re trying to find a good balance between both organizations. Where we have more people than we have positions, we’re trying to select the best talent from each organization to fill those positions. Rotor & Wing: Please explain the Amended Credit Facility (AMF) from KeyBank National Association that was used to purchase Omniflight. Todd: Air Methods had a very, very minimal amount of debt prior to the acquisition of Omniflight. I think our net cash position was below $30-40 million of overall debt. Because of that, the low leverage that we enjoyed, we used leverage as the primary consideration to acquire Omniflight. The purchase price was $200 million, so not coincidentally the term loan is for $200 million. Rotor & Wing: What can you tell us about the helicopters that have non-operational night vision goggle modifications per FAA? Todd: It was 46 aircraft that were previously retrofitted for NVG service, some of which had been operating with NVG where the FAA determined that some additional modifications or certification was needed in order for those particular aircraft to remain NVG-capable. We have just recently reached a resolution on how that’s to be accomplished and we’ll be putting those back into NVG service throughout the coming several months. 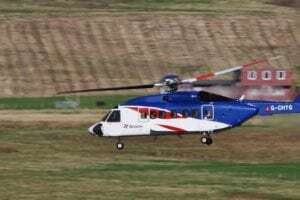 Rotor & Wing: Were the helicopters from the Air Methods or Omniflight fleet? Todd: It had more to do with Ahlers [Aerospace, holder of the STC]. It had more to do with their certification and less to do with whether it was an Air Methods or Omniflight aircraft. Ahlers had done some retrofitting for both fleets, but not all of ours were we NVG operational by the end of the year for both fleets, subject to this final compliance matter. And then we’ll have a few that will just be pending the arrival of new aircraft. Rotor & Wing: You mentioned a number of “operational efficiencies” that would result in savings. Please explain. Todd: We’ve seen benefits in our hull liability insurance rates as we upgrade our purchasing power in the marketplace. We believe that we’ll be able to enhance our reimbursement levels without having to adjust pricing based upon just our collection methodologies. Speed of collection was of greater importance to Omniflight, where maximizing collections was a primary objective of our effort, so we see some benefit there. Elimination of redundant back office position will drive some value and other operational efficiencies such as that. There are a lot of costs associated with just having standalone corporations, whether it’s audits and legal fees, and boards of directors, and all of those things that will not have to be duplicated. So when you add it up all together, we estimated the net synergies/net operating efficiencies from the combination would be in excess of $10 million. Rotor & Wing: Will those savings flow down to operators and end users? Todd: A lot of that will depend on how our volumes hold up. If we continue to have to offset some of those savings against lower utilization, then there’s less available to flow down to the consumer or the customer. Obviously with our hospital-based customers we are respectful of whatever the market conditions are, and whether our costs are higher or lower, we have to ensure that we’re always competitive in the marketplace. Rotor & Wing: How do you plan to leverage the strengths of both companies? Todd: As far as Omniflight and Air Methods’ operations coming together, our geographical footprints were very complimentary to one another, as evidenced by the fact that we didn’t have a lot of overlapping bases. In fact we don’t have any bases that we are intending to shut down as a result of the combination, and that would be a strong indicator that we’ve got the ability to increase our coverage and service without being redundant with one another, and that dramatically increases the efficiency of our operations. Rotor & Wing: How’s everything going with the United Rotorcraft Services acquisition earlier this year? Todd: We acquired URS last spring to try to expand our access to new markets, such as law enforcement, border patrol, quasi-governmental services and those types of things. It gave us a completions presence in the Dallas area which is closer to the manufacturer, so it brought a lot of opportunities to us that we didn’t have self-contained within our Products division. 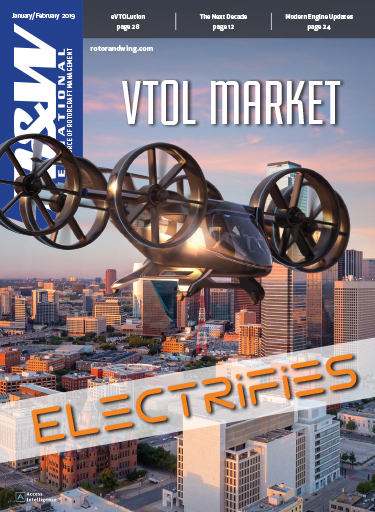 Rotor & Wing: Are there any new services that will come from the combination of Air Methods and Omniflight? Todd: Omniflight had a modest membership program and we have continued that at its current pace through the acquisition. We are still hopeful that an insurance product will be made available that will help to offset the rising costs of these services and provide indemnification to patients and their families should they need these services. Whether or not we continue the membership program will largely depend on whether an insurance product becomes available. Rotor & Wing: What’s the philosophy behind the Omniflight acquisition? Todd: A company like Air Methods that’s publicly traded will always be looking for opportunities to grow its business, and adjacencies—whether along healthcare core competencies or the aviation sector—will be looked at, both domestically and internationally. To date, we’ve always remained focused domestically with our air medical services, but we’ll continue to look at strategic acquisitions as part of our long-term growth strategy. We consider ourselves a healthcare company that happens to have expertise in aviation, rather than an aviation company that happens to have an expertise in healthcare, so it is likely that our focus will continue to maintain a healthcare orientation but that does not mean that we won’t do other types of aviation rotor wing services. Rotor & Wing: Is there anything to read into regarding recent stock sales from members of the executive team? Todd: That’s a pretty simple answer. The Air Methods senior executive team is partially incentivized with stock options and those have expiration dates of five years from date of issuance. And so when you see buying and selling activity in the stock, it’s almost always related to having to convert those options before they expire. Actually, if we were selling shares based upon something negative on the horizon, we wouldn’t be allowed to sell those shares until it became publicly noted. So if anything, an insider selling shares in many cases can be bullish because he wouldn’t be able to do it if he were aware of anything negative that had not been publicly noted. Rotor & Wing: What are the biggest challenges facing the HEMS industry? Todd: I think it’s going to be a continuation of some of the same challenges. The U.S. EMS rotary wing fleet has doubled in the last 10 years, and while that’s brought about greater access to these critical services, it’s also increased significantly the cost-per-patient transported because of the high fixed-cost nature of the business. So how do you continue to maintain—have the investments in safety technologies and modernizing the fleet, and continue to pay competitive wages and benefits while trying to remain financially viable with fewer flights per base? Rotor & Wing: What about the future? Todd: Among the challenges will be the impact of healthcare reform and whether of not the industry has been able to improve its safety record with some of its significant initiatives to increase the margin of safety. At that point in time, there needs to be a real track record of improvement, whereas now there hasn’t been enough time to really draw an ultimate conclusion. 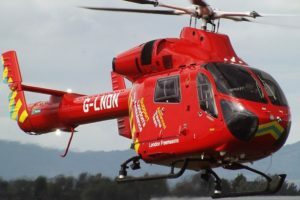 Rotor & Wing: What more needs to be done to lower the HEMS accident rate? Todd: There’s a lot being done presently, and like anything it takes time for the benefits to be fully understood. When you look at Air Methods and you look at the entire industry, the majority of major accidents are associated with controlled flight into terrain (CFIT). And so anything that would enhance the margin of safety at night, and in higher-risk weather conditions, is going to pay strong safety dividends. I’m not aware of any major operator now within HEMS that is not embracing night vision goggles (NVGs) as primary, basic minimum equipment. H-TAWS is becoming very evolved and more affordable, and has been embraced as standard equipment on Air Methods’ fleet. The onboard satellite, weather tracking [technology] and operational control centers are combined with companies that are embracing the FAA’s voluntary SMS program—initiatives that are going to combine to improve the overall safety record, and I believe already have begun to do so. But no one would declare victory at this point. 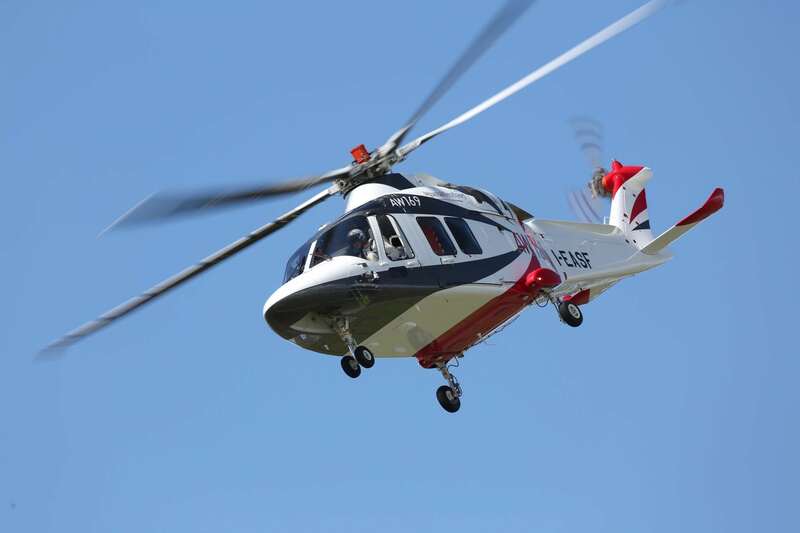 Rotor & Wing: HEMS seems to be at the forefront of new technology. Do you find that’s the case? Todd: I believe it is, and it has great applicability. Unlike offshore or tour operations that have minimal night flying activities, in HEMS, 40 percent of our transports are at night and we now have the tools to significantly enhance the margin of safety. Rotor & Wing: How does Air Methods’ SMS program fit in? Todd: We were, if not the first then one of the first, rotary wing companies to embrace the FAA’s SMS program, exiting Level 2 last year, and would hope to exit Level 3 by early next year. As we understand it, we’re the only rotary wing company in the country that has exited Level 2, and one of only a few aviation operations inclusive of Part 121 carriers that have exited Level 2. But that’s really not why we did it. We truly believe that a comprehensive safety management system that incorporates everything from ASAP and MSAP reporting to monthly safety newsletters to safety advisory councils—basically all of the tools that allow us to identify risk on a pro-active basis, and mitigate that risk before something happens in a protected environment so all feel free to communicate these concerns without fear of retribution, is a very powerful mechanism for safety enhancement. Which is really at the heart of what SMS is about, it’s basically identifying risk, evaluating it and solving it, in an environment that has free flow of communication throughout the organization. Rotor & Wing: What do you think about the NTSB’s recent focus on HEMS accidents? Todd: It’s been there for several years now. At least we’ve been taken off the Most Wanted list earlier this year, and so the NTSB hopefully is recognizing the pro-active efforts of air medical operators to increase the margin of safety. We’re continuing to move forward with these enhanced systems and technologies, and we’re hoping that it’s going to be a real catalyst for long-term change. 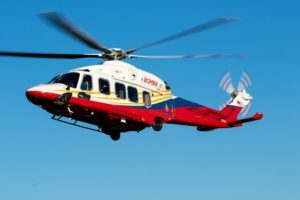 Rotor & Wing: What is your take on recent comments by HAI President Matt Zuccaro that safety efforts might be “missing the target” in focusing a lot of attention on the accident rate in the high-profile HEMS sector while overlooking segments such as the personal flying and initial pilot training sectors? Rotor & Wing: Could you explain the difference between the community-based and hospital-based approaches? Todd: Whether it’s operator-owned or hospital-owned is a better nomenclature there. The services are identical and in some cases the lines get blurred as to whether the hospital remains partnered in the service or not, but the best way to describe it is who bears the risk of ownership. Within the community-based operations, we bear the risk of ownership, and within the hospital-based operation—even though they may be actively involved in the service and in the program—they have the risk of ownership. There are many reasons why a hospital might choose to shift the risk. Sometimes it has to do with the need to deploy capital, the need to modernize or expand the fleet. They may be choosing to divest of non-core services in some cases, they want to remain very much affiliated with the program, or they would just like to defer the ownership risk to the operator. Rotor & Wing: How has the FAA Organizational Designation Authorization (ODA) help the company’s Products division to speed approvals along? Todd: We’ve had the ODA for several years. The difference between the DAS and the ODA is the ODA allows you to internally sign off on supplemental type certificates, and with that designation, it is certainly a reflection of the FAA’s trust in the capabilities of the company, and the independence of the certification process internally to accomplish that. 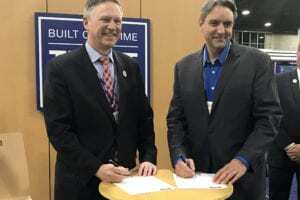 The primary benefit is that it conceptually should streamline certification of aircraft modifications beyond what is feasible if one is relying solely on the FAA to accomplish the certification process. Rotor & Wing: Did it make sense to pursue the ODA because Air Methods has such a large fleet? Todd: It did, and we do many STCs every year as we try to expand our product offerings and enhance existing products.